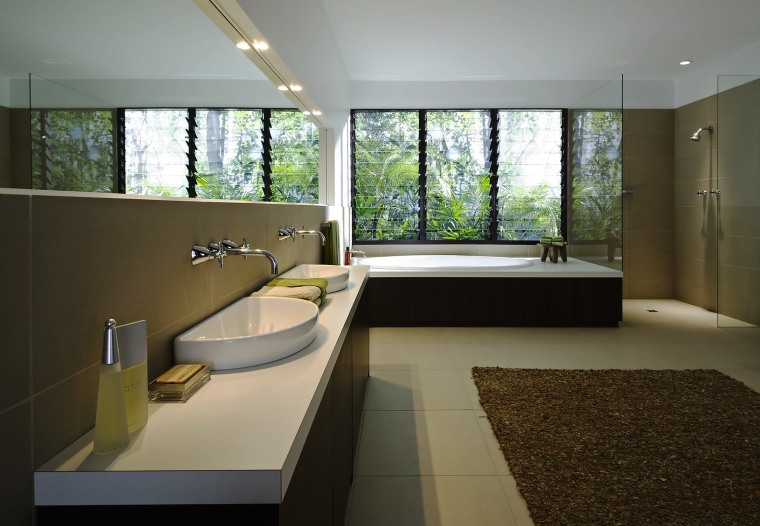 A sophisticated bathroom need not be defined by whether the interior is contemporary or classic, but by the form of the fixtures and fittings. Bathroomware from Caroma, Fowler and Dorf offers stylish design and water saving capabilities, without compromising on function. Caroma Dorf marketing communications manager Jennifer Krenich says these products work together to create a bathroom that is also sleek and modern. "When it comes to choosing tapware, for example, people are looking for products that look great, and fit with the overall style of their bathroom. But they also want products that perform." Krenich says the Dorf Fluid tapware range has slimline styling, and a polished chrome finish that can transform a bathroom into a sleek, sophisticated space. Ceradisc technology ensures a consistent temperature and water flow control, while built-in Dorf Water Efficient Tapware technology saves water. "The Fluid Basin set can be paired with the Fowler Seido Inset Basin to create a highly contemporary look. 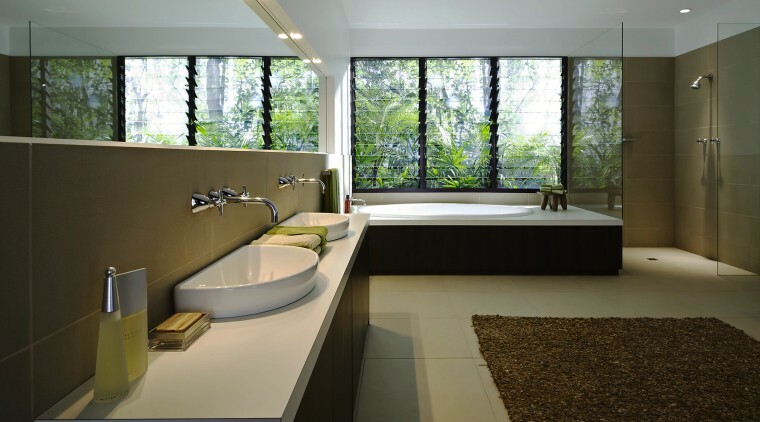 Organic in their shape, Seido Inset Basins feature smooth, contoured rims," she says. Krenich says other products are designed to suit a decor style, which is defined by indulgence. "These bathrooms typically have a classic styling, reminiscent of Victorian times," she says. The Tradition bath from Caroma perfectly suits this style, bringing back the clawfoot bath with a freestanding design. 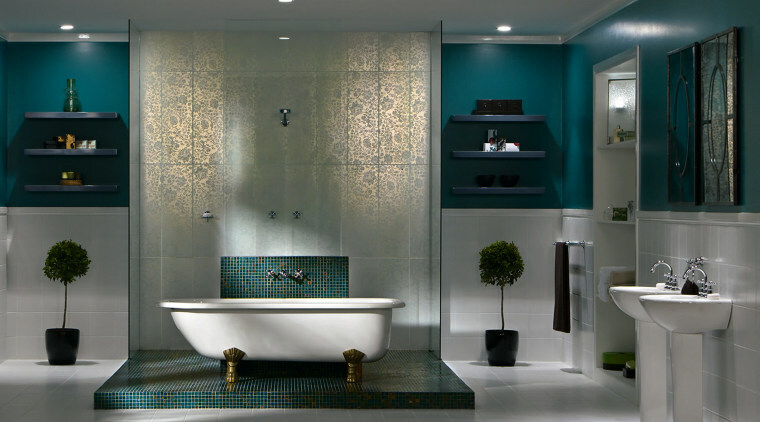 This bath sets the scene for decor-style bathrooms, adding an indulgent feel to a relaxing space. The look is often suited to Federation-style homes." Krenich says a bathroom make-over wouldn't be complete without a stylish water saving toilet suite from Caroma or Fowler. For more information, phone Caroma on 1300 227 662, Fowler on 131 774 and Dorf on 13 14 16. Websites: www.caroma.com.au, www.fowler.com.au and www.dorf.com.au.